This enchanting land brings the magic and wonder of famous childhood stories to life. 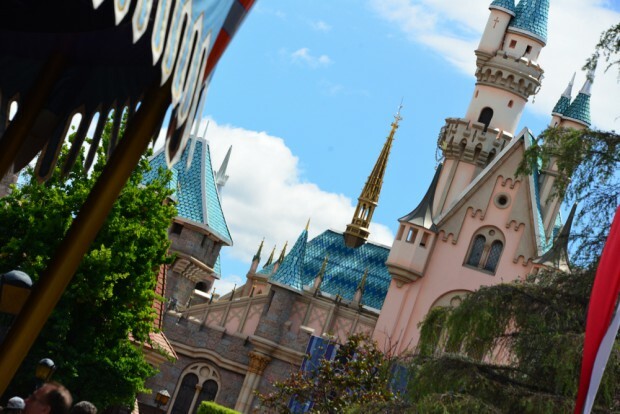 Located just beyond Sleeping Beauty Castle, Fantasyland brings out the child in all of us with its imaginative rides, unforgettable characters and striking architecture. 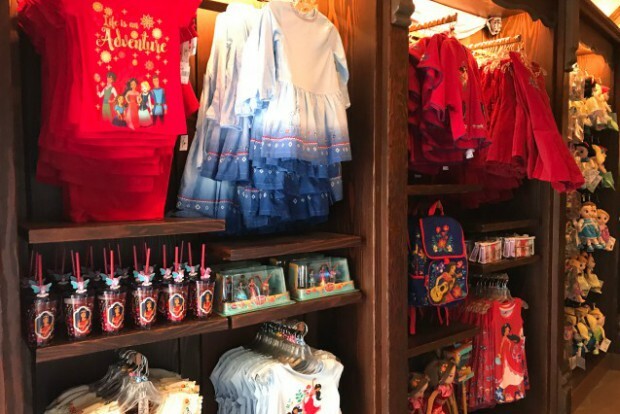 Fairy Tale Treasures - Located in Fantasy Faire near the path to Frontierland, this store features princess costumes and other clothing for girls. 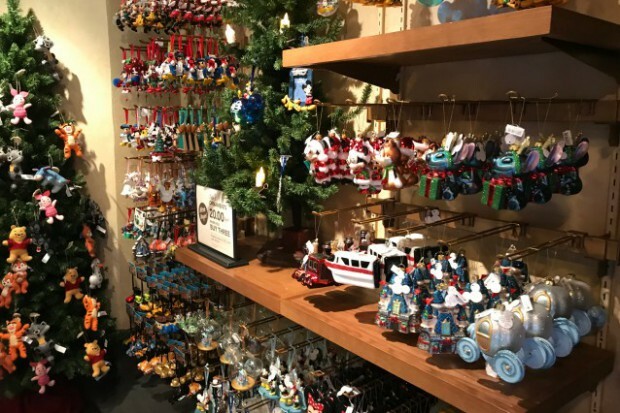 Castle Holiday Shop - Located near Sleeping Beauty Castle, this store sells Christmas ornaments and decorations. 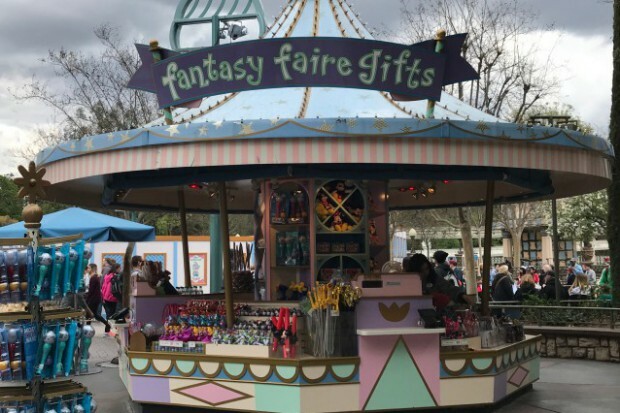 Fantasy Faire Gifts - Located across from "it's a small world," this kiosk features candy, small plush, and other souvenirs. 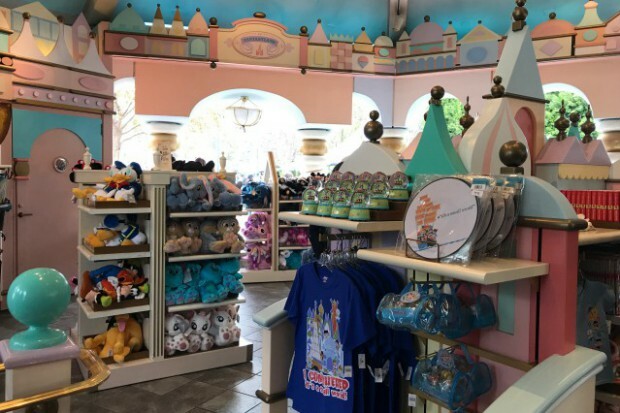 "it's a small world" Toy Shop - Located at the exit to the attraction, this shop features toys and Small World-themed merchandise. 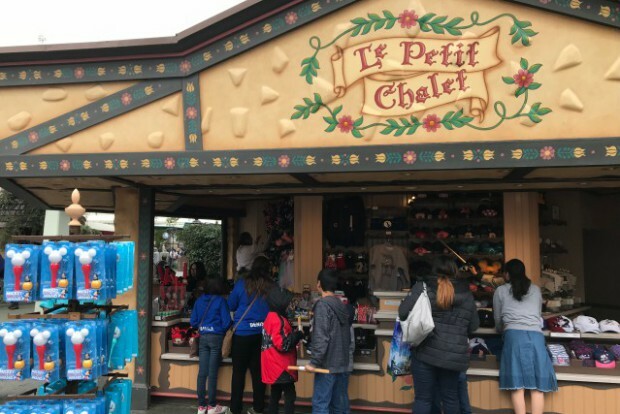 Le Petite Chalet - Located in the shadow of the Matterhorn, this kiosk features hats, bubble wands, and other souvenirs. 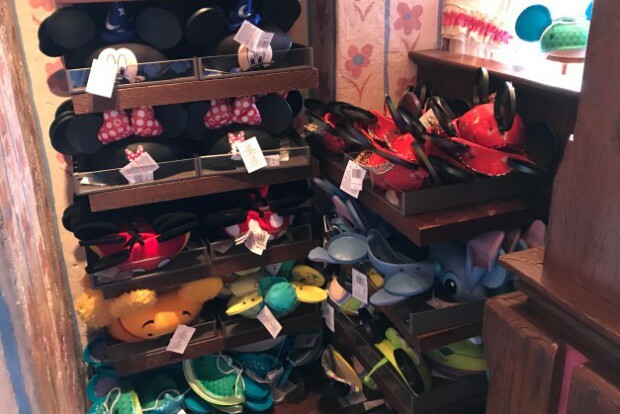 Mad Hatter - Located near the Mad Tea Party, this store sells Mickey Mouse ears and other hats. 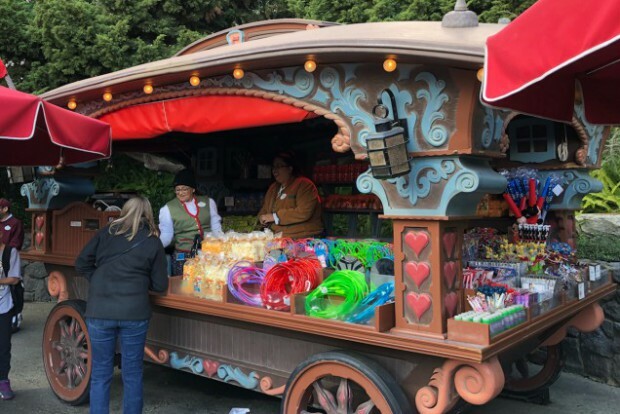 Stromboli's Wagon - Located across from Red Rose Taverne, this kiosk features candy, t-shirts and other souvenirs. 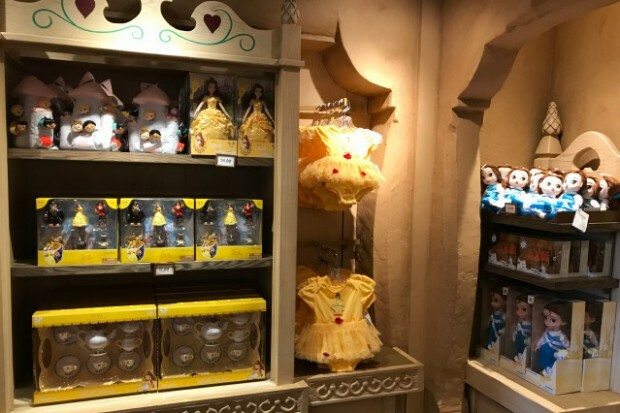 Royal Reception - Located near the exit to Pinocchio's Daring Journey, this small shop sells Beauty and the Beast merchandise and clothing. 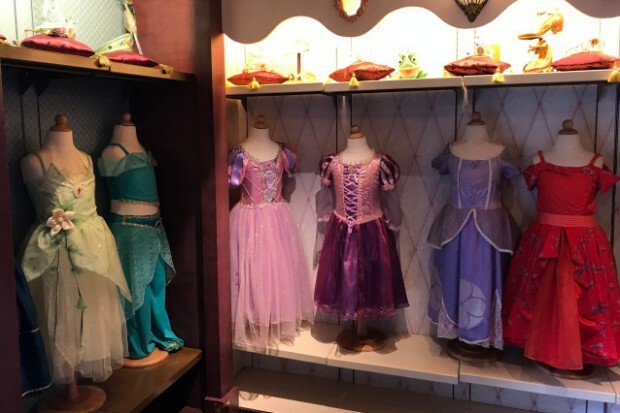 Enchanted Chamber - Located in Sleeping Beauty Castle, this store sells princess costumes. 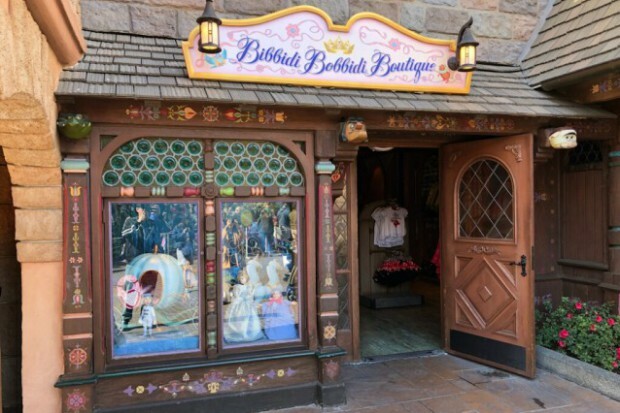 Bibbidi Bobbidi Boutique - Located near Sleeping Beauty Castle, this shop provides makovers, plus sells princess and prince merchandise. 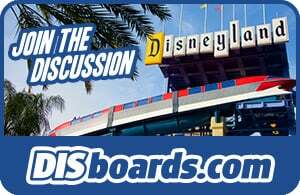 Tinker Bell and her fairy friends meet guests at Pixie Hollow. 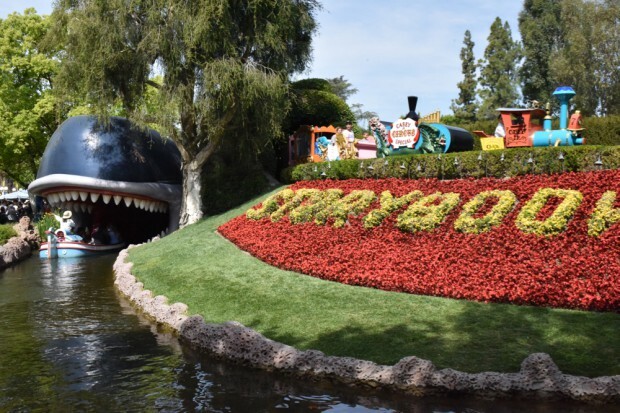 Located between Fantasyland and Tomorrowland, the pathway is alongside an "enchanted pool". As guests head towards Tink's home, passing statues of the fairies along the way, they'll feel as if they've become pixie sized.